Resources to help you position your investments during uncertain markets. 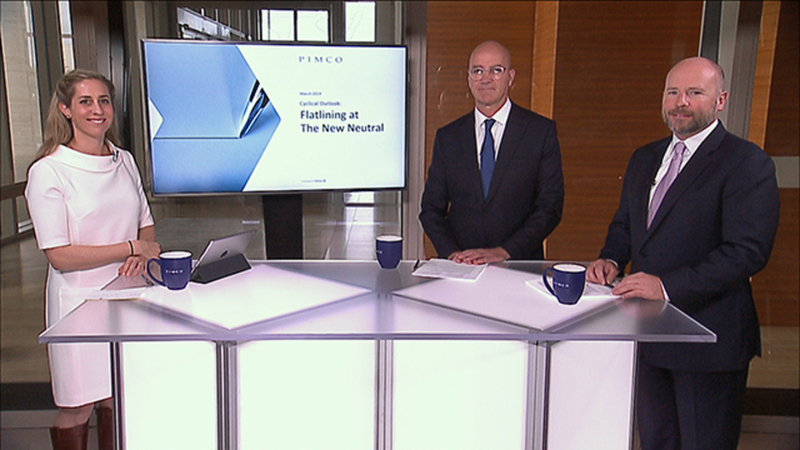 David Fisher: Hi, I’m David Fisher, and I’m here once again with group CIO Dan Ivascyn to talk about some of the recent discussions taking place in PIMCO’s Investment Committee, better known as the IC. So as the year winds down, a lot of our clients are looking forward to 2019 and thinking about how they should be investing their portfolios. There’s clearly been an increase in volatility lately. That makes markets a little bit more challenging. 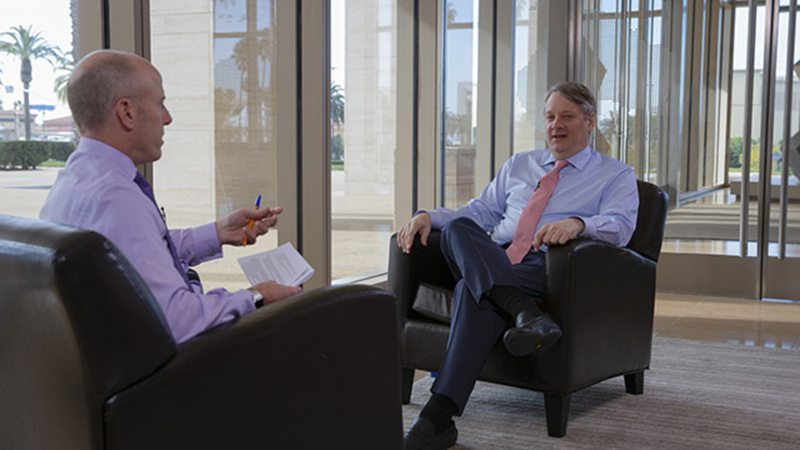 So could you share with us some of the themes the IC’s been discussing recently as it seeks to manage PIMCO’s portfolio in the weeks and months ahead? Dan Ivascyn: Sure. Of course, the investment committee, as we typically do, is looking at the growth outlook, both in the United States as well as the rest of the world and more recently spending a lot of time talking about policy. We just had the midterm elections here in the United States, as well as some other elections outside this country. As we’ve talked about now for several months, we do think political uncertainty will be a key driver of markets in the years to come. We’ve seen—as you mentioned—a lot of that volatility more recently, and some of the more micro discussions at the investment committee are related to that volatility we’re seeing. For the first time in a long time we’re seeing volatility in the corporate credit markets. The equity markets have been quite volatile this year, and even more recently we’ve begun to see pretty significant volatility across the commodity complex. So in this type of environment, as fixed income investors it’s not only critical to understand the drivers of this volatility, it’s also very important to work to create portfolios that are resilient in this world. That’s very different than what we saw in 2017. Looking ahead into 2019, we think that this volatility is going to continue. It will be unpredictable at times, and I think it’s important as asset managers to understand that key point and through careful portfolio construction create a defensive tone to portfolios. 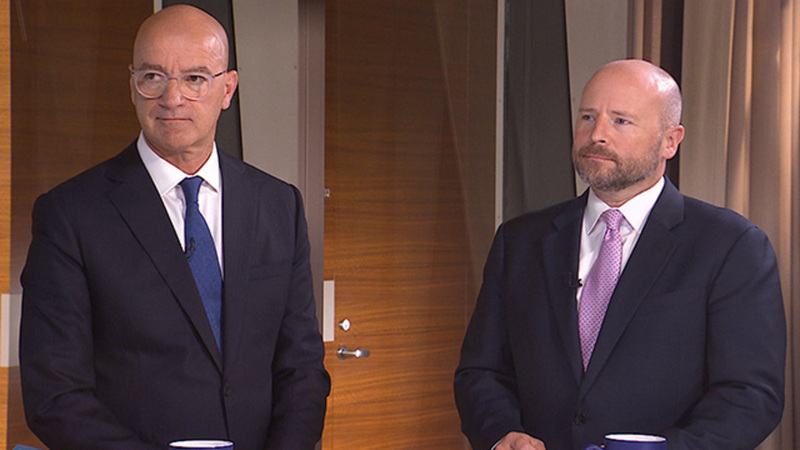 David Fisher: So as you mentioned, there has been an uptick in volatility in the last couple of months, so what are your thoughts on how the portfolios have held up over this period? Dan Ivascyn: Sure. So we tend to take a longer term orientation so we don't measure—or at least focus—too much on returns over a multi-week period. With that said, when we look across strategies during the month of October and even over the course of the last couple of weeks, we’re pleased thus far during that period of increased volatility which we’ve talked about now for several months. And the key theme that we’re really, really focusing on in terms of overall portfolio construction regardless of the strategy is creating resiliency, a defensive quality to portfolios. If we do that well and effectively, we’ll be able to go on the offense as opportunities become more attractive in the months to come. 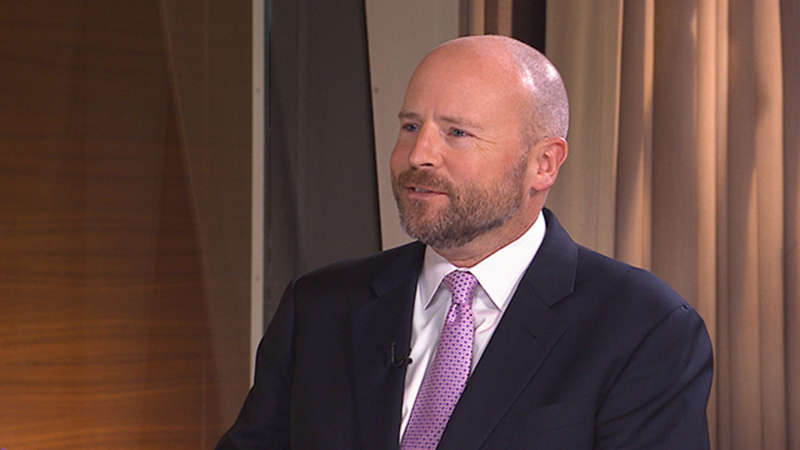 David Fisher: One part of the markets that’s been quite volatile lately is the energy sector. Do you have any thoughts on whether there are good opportunities for investors in that area of the market? Dan Ivascyn: There are, and you’re absolutely right. We’ve seen a significant decline in the price of oil and a tremendous amount of volatility across segments of the commodity complex. That’s beginning to influence valuations in the corporate credit market. Even in addition to the volatility we’ve seen in commodities, there have been a lot of idiosyncratic sources of risk in the corporate market that we really haven’t seen for several years. So although as a firm one area where we’re most defensive is in the more generic segments of the corporate credit universe, the recent uptick in volatility in commodities, some of the unique, more idiosyncratic risks that are impacting certain corporate credits is providing some opportunity as well. So we remain very defensive in terms of corporate credit more broadly, but we are beginning to see somewhat of what we’d categorize as special situations that we have been targeting over the course of the last several weeks. David Fisher: Are there any particular areas of opportunity right now, sectors of the market where despite high valuations you think they’re good opportunities to invest client capital? Let me start in the United States, although this is true to a degree in segments of the European market as well. That sector’s housing. It’s been an area where we’ve been overweight for quite some time. Sure, the pace of home price gains is slowing. The pace of housing related activity is slowing, but when we look at the housing market on a national level in the US or in markets across Europe, valuations look reasonably attractive. We don't see the same type of household excess or excessive lending that we saw in the years preceding the financial crisis, and in fact we haven’t seen that much in the way of significant home price development either. So from a supply/demand perspective—at least at a high level—this looks like a very balanced market. I think this is an area where you will see the sector exhibit resiliency, even if we were to get into a sustained period of weak economic growth or even a period of higher interest rates. In terms of interest rates we’ve seen a decent pullback in yields this year. We do expect the Federal Reserve to take rates higher, most likely in December and again a couple of times in 2019, but segments of the high quality bond market are beginning to look a bit more attractive to us. We remain defensive, but in certain portfolios we have looked at a little bit of exposure in response to these higher rates. Then even outside the U.S., there’s been a lot of volatility, as we know, in the emerging market sectors. Ironically, despite a lot of concern about the emerging markets early this summer, this has been one of the most resilient sectors during the bout of more recent volatility, So in that space we’re looking to leverage considerable resources, many of which have joined PIMCO recently, to target specific areas of the world and specific investments within the respective countries that we find attractive, but emerging markets will continue to be an area where taking responsible targeted exposure in some areas of the world that have overshot fundamentals will still make sense to us and still will be represented in portfolios at PIMCO that are allowed to take that exposure. David Fisher: Thanks, Dan. So any last thoughts as we head into 2019? 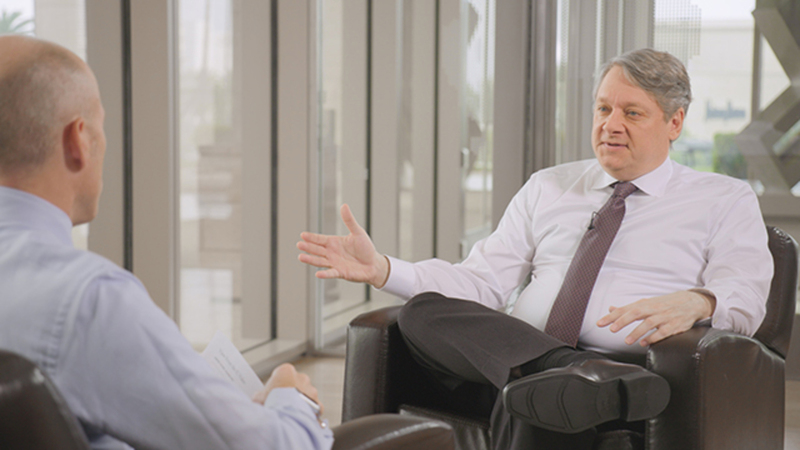 Dan Ivascyn: I think we covered the investment outlook, but just let me take this time to thank all of our clients, all the shareholders in our strategies for their ongoing support of PIMCO. 2018 was a bit more challenging than 2017, and 2019 may be a bit more challenging yet again. So we thank all of our clients for their continued support. We’ll work hard to deliver strong risk adjusted returns on all of your behalf. David Fisher: Right. Thanks for joining us, Dan, and thanks to all of you as well. All investments contain risk and may lose value. Investing in the bond market is subject to risks, including market, interest rate, issuer, credit, inflation risk, and liquidity risk. The value of most bonds and bond strategies are impacted by changes in interest rates. Bonds and bond strategies with longer durations tend to be more sensitive and volatile than those with shorter durations; bond prices generally fall as interest rates rise, and the current low interest rate environment increases this risk. Current reductions in bond counterparty capacity may contribute to decreased market liquidity and increased price volatility. Bond investments may be worth more or less than the original cost when redeemed. Commodities contain heightened risk, including market, political, regulatory and natural conditions, and may not be suitable for all investors. 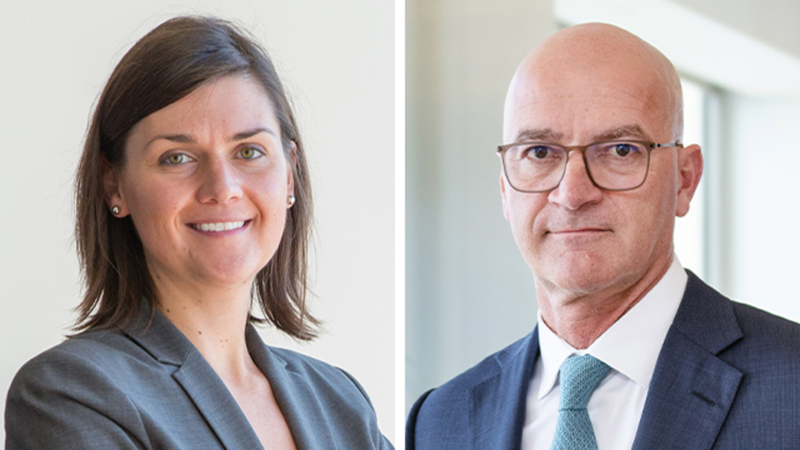 Investing in foreign-denominated and/or -domiciled securities may involve heightened risk due to currency fluctuations, and economic and political risks, which may be enhanced in emerging markets . The credit quality of a particular security or group of securities does not ensure the stability or safety of the overall portfolio.